Liberty East & West Gifts Catalogue 1926-29? Page 36 from the Liberty Gifts From the East and West Catalogue. 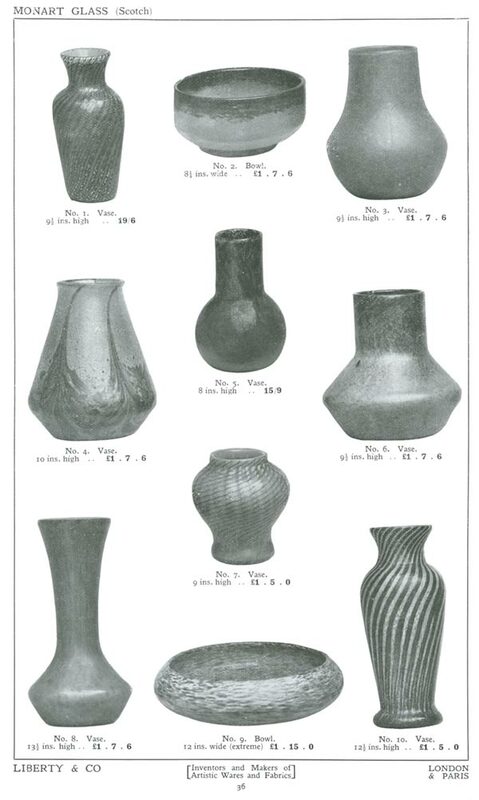 This catalogue is undated but I estimate it to be the latter half of the 1920's, it is the only one to name Monart Glass, all of the others use Scotch or British Glass.